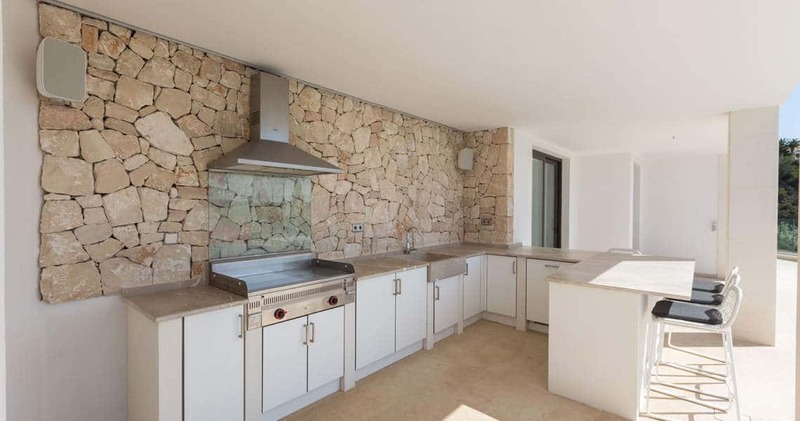 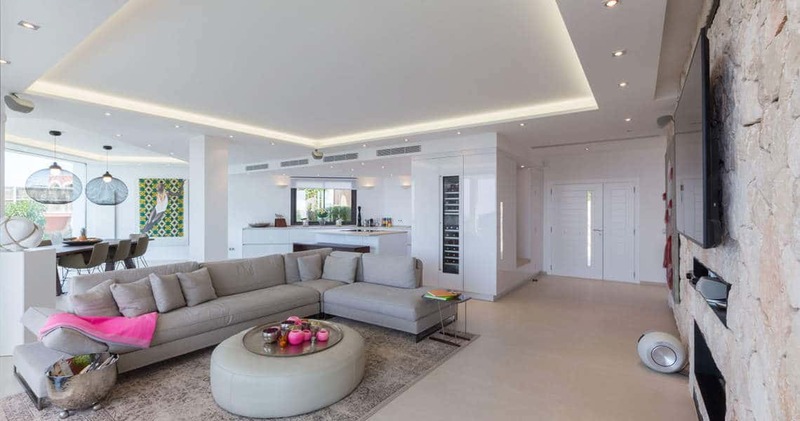 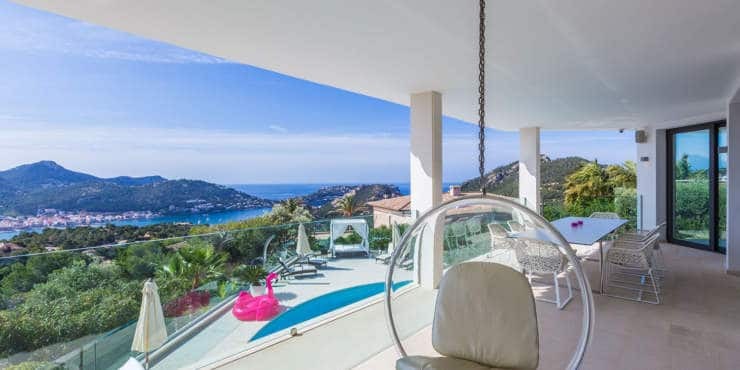 This villa of modern architecture is situated in a privileged location just a few minutes’ drive from the picturesque harbour promenade and the ‘Club de Vela’. 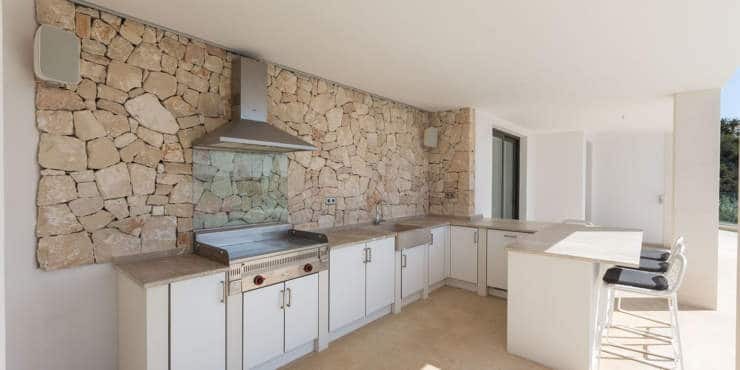 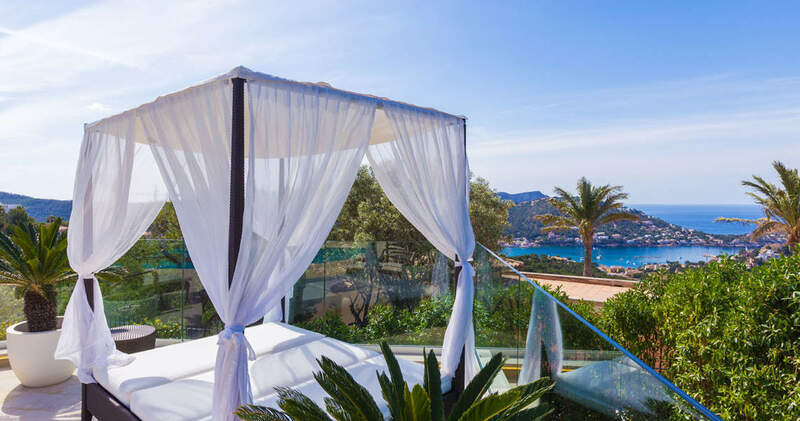 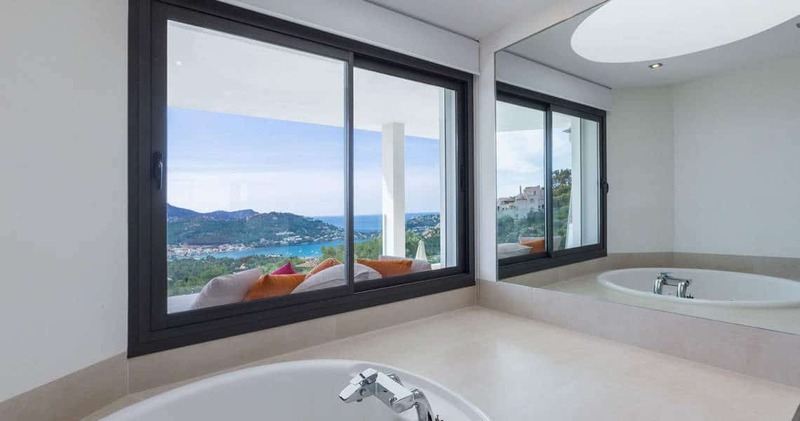 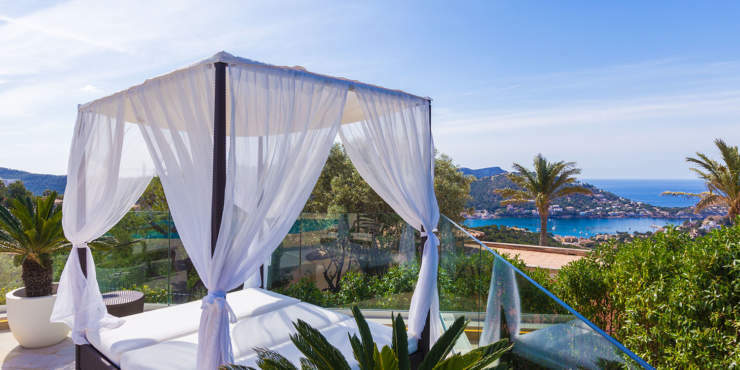 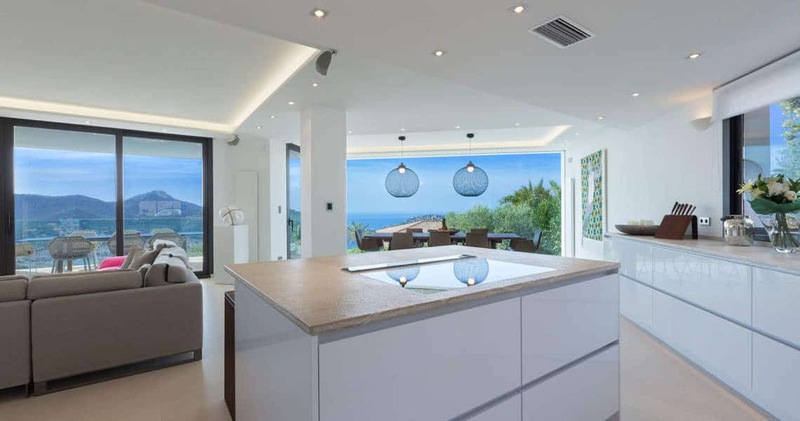 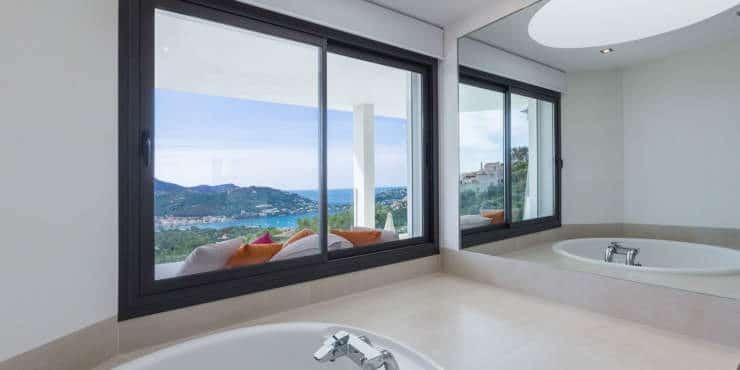 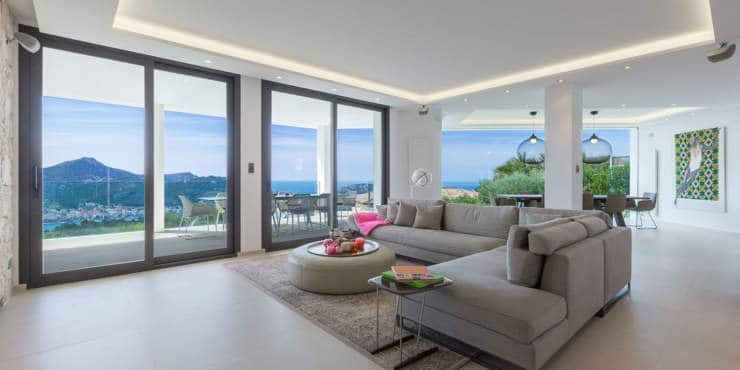 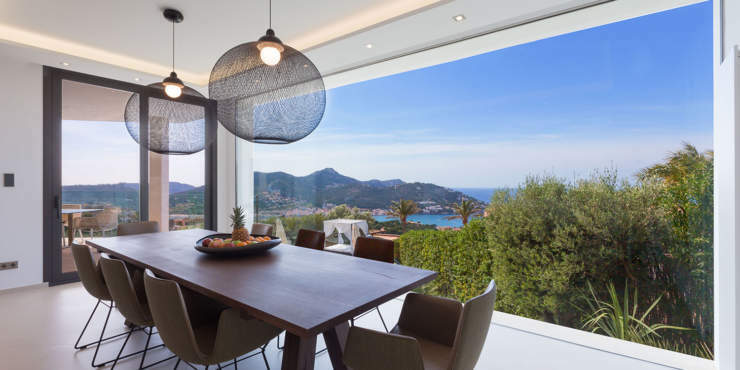 The light-flooded villa has been refurbished with the highest building quality, with modern house technology and enjoys a sensational view of the harbour, the sea and the surrounding mountain panorama. 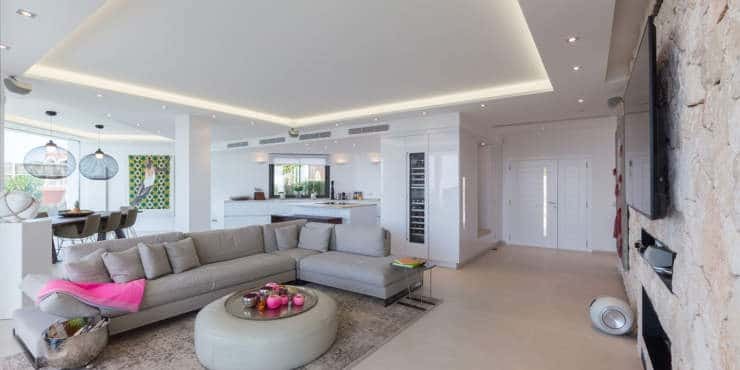 The main living area comprises of a spacious living/dining area with an open designer kitchen, a guest toilet, the main bedroom with dressing room and spacious en suite bathroom with jacuzzi and another bedroom suite. 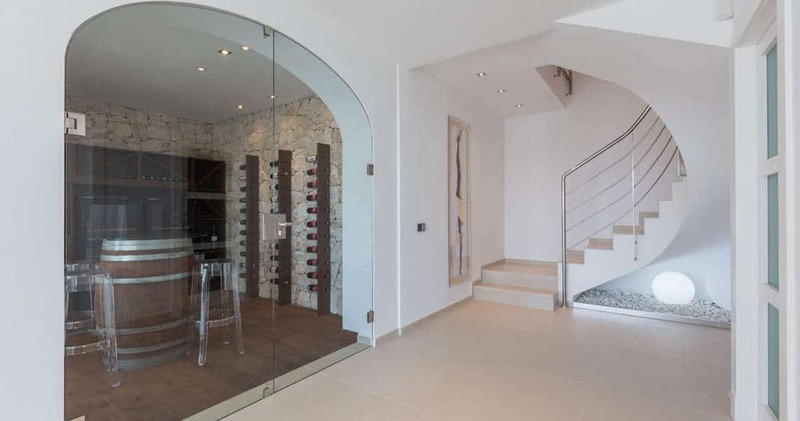 With either inside or outside stairs you reach the ground floor level with two further bedrooms with bathrooms en suite, a bodega as well as a fitness and spa area with sauna. 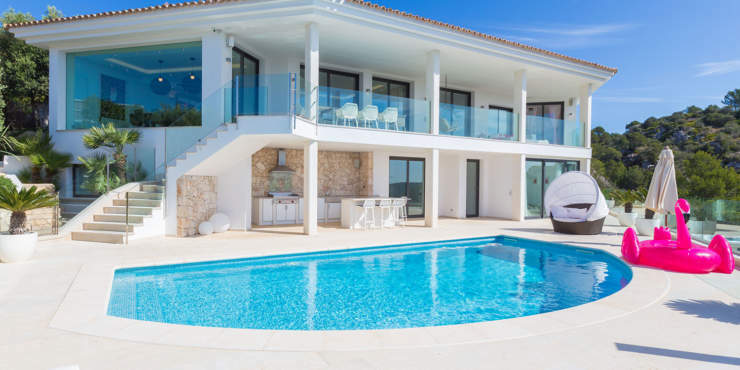 The tastefully designed outdoor area with a salt water swimming pool, a jacuzzi as well as an outdoor kitchen and a cozy chillout lounge underline the exclusive ambience of the villa. 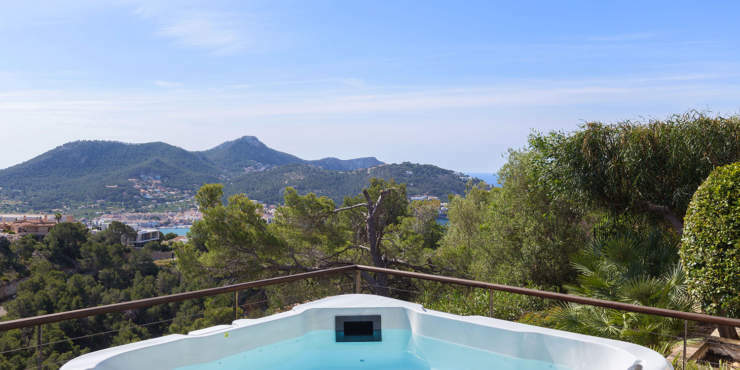 From all terraces of this exclusive property with absolute privacy, there is an overwhelming sea and panoramic view.